Everyone loves free stuff. If you don’t I’m worried about you. So since my good buddy and bossman Clark Howard is coming out with his tenth book on August 6th it only seems appropriate to give away a few copies to SOTB (Save Outside the Box) readers. What must you do, you ask, for the chance to win one of these 3 autographed books? It’s quite simple in fact. Follow me on twitter. You don’t have a twitter account? Get one. It’s free! And in today’s world, and I say this with a straight face, twitter is incredibly important. I read an article recently in Forbes documenting how social media, and twitter in particular, could fetch you a job! So you should really be on twitter for many reasons. You should also follow Clark on twitter. You might be missing out on some of his best advice if you aren’t. This new book is a radical departure from Clark’s other nine. (By the way – ten books is a lot of writing). It profiles 50 people that lived below their means and made financial decisions that changed the course of their lives forever. It’s a really cool idea and there are some incredibly inspiring profiles. Clark also delivers over 200 tips to help YOU make changes that will result in your own fiscal fitness. I am profiled in the book too! It’s pretty exciting for me to be featured in this new book. Clark chronicles my decision and path to becoming a landlord and how that has been a game-changer financially for me and my family. So if you are interested in reading more about my specific venture into real estate investing you’ll want to pick up a copy (assuming you don’t win, of course). So once again. This is a book giveaway and there are 3 signed copies of Clark Howard’s new book up for grabs. All you have to do is click the follow button. I’ll be choosing 3 random followers, and current followers are included. Good luck to you! If you want to learn more about Clark’s new book you can check out the book info page. The winners will be announced on Twitter and on this website on Friday, August 9th. That means you have time to tell all your friends who love Clark Howard more than their own families to jump on twitter and follow me for their chance to win. Update: I’m giving away 1 book to a random e-mail follower as well. That’s 4 books in total. Be sure to follow me on twitter and sign up for e-mail updates in the upper right hand corner of this website for your chance to win! 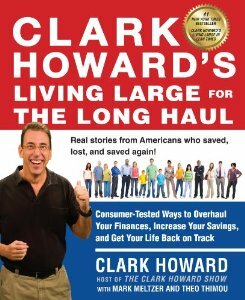 Book Giveaway: Living Large for the Long Haul Winners! I’m looking forward to the new book coming out soon! Too bad I don’t have a twitter account, my workplace only encourages LinkedIn, and twitter is frowned upon. You should open it up to those that follow your Blog through email too. Just a thought. Thanks for the Giveaway, keep up the good posts!! You know what Stephen, you are totally right. I’ll find an extra copy and give one away to a faithful e-mail subscriber as well. Thanks for reading Stephen and thanks for the suggestion! Hope to win the book so my family can learn how to save outside the box-with student loans and such we need all the help we can get! I love saving money. 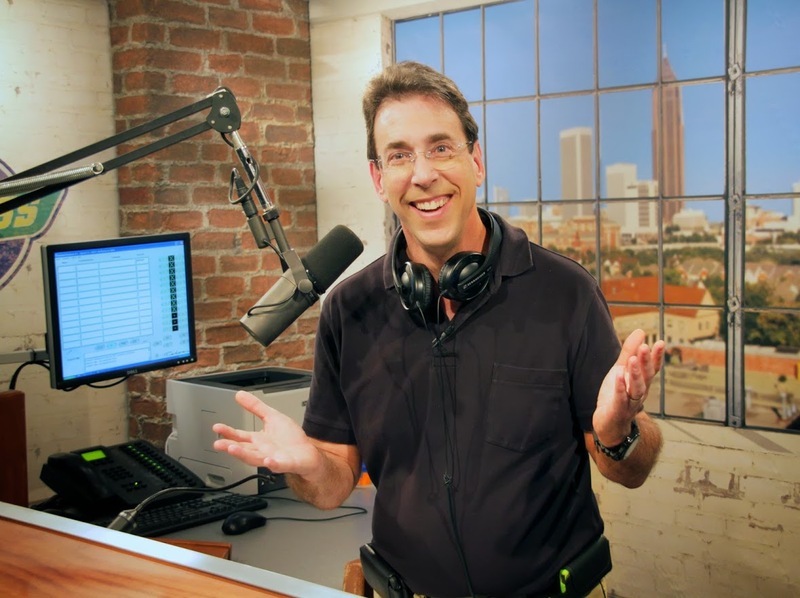 I actually applied one of Clark Howard’s advice with regard to home security and save a lot each year. Looking forward to getting the new book. I’m certain that it will contain some great, useful information. Really interesting book! Although I didn’t get it at the giveaway, I bought it a few days later and I really liked it.